Sixers center Joel Embiid celebrates his late three-point basket that tied the game against the Charlotte Hornets on Friday, November 9, 2018 in Philadelphia. What looked like it was going to be an easy win for the 76ers turned into a nail-biting, 133-132 overtime win on Friday against the Charlotte Hornets. The teams traded baskets and free throws for the first few possessions in overtime before a miss by Charlotte's Malik Monk gave the Sixers an opportunity and Ben Simmons found room to fly into the paint to take a 131-127 lead. Rookie Miles Bridges scored for Charlotte but Simmons made his way to the free-throw line and hit his first shot to give the Sixers a three-point lead. The Hornets couldn't connect on their next possession and wrapped up Embiid, who made one of his free throws for a 133-129 lead. "We found a way to win," coach Brett Brown said. "That's sort of the simplest way you can say it." Willy Hernangomez made a three as the overtime clock was expiring, but the Sixers had enough to leave with the win and remain unbeaten at home. Trailing by three with less than a minute to play in regulation, it was Joel Embiid to the rescue. The 7-foot center hit a three-pointer off a dish from Simmons to knot the game, 117-117. Embiid finished the night with 42 points and 18 rebounds while Simmons finished with 22 points and 13 assists. On the other end, Kemba Walker pushed through traffic for a layup to give the Hornets a two-point lead with 25 seconds left. But Cody Zeller committed his sixth foul as Embiid drove in, and Embiid tied the game with a pair of free throws. "They call me clutch for a reason," Embiid said with a laugh. "They call me clutch in practice, but I'm still yet to show it in a game. Tonight I feel like I did a better job." A Sixers defensive stop, forcing a Hornets shot-clock violation, sent the game into overtime. In the early going, the Sixers didn't want the Hornets to get comfortable; they tried to catch them off guard, but Charlotte surged back from a 21-point third-quarter deficit. With a flurry of different lineups, and behind a stellar shooting night from Dario Saric, the Sixers took off in the first half. The Hornets, who were in Philadelphia less than two weeks ago and will play the Sixers again Nov. 17, felt like they had a little bit of an advantage heading into Friday's game. With their meetings so close together, Charlotte's coach said there was a level of familiarity with the scouting report. Brown, meanwhile, made some changes, bringing Jonah Bolden in early for some surprise minutes off the bench and later employing a small lineup with Saric playing center. The tactics worked through the first 24 minutes with the Sixers pulling ahead for a 65-50 lead at halftime. But the Hornets were not going to go away without a fight, and the second half turned into a battle of wills and fouls between the two teams. 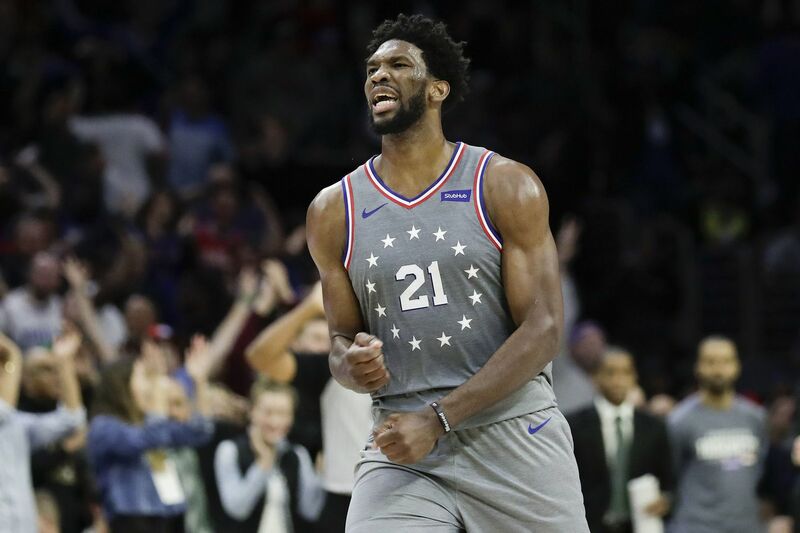 Though the usual suspects — Embiid and Simmons — had predictably solid outings, the Sixers pulled ahead early when they shifted away from the norm in the first half. In addition to the Sixers going away from their usual looks, Kemba Walker had a quiet first half, scoring just eight points before heading to the locker room for evaluating with tightness in his back. In the Sixers' 105-103 home win over the Hornets on Oct. 27, Walker finished with 37 points in a tight game, and his quiet start Friday gave the Sixers some breathing room. There's no way around it, the Sixers are clearly a better team when Saric is hitting his shots, and he came out firing Friday. He finished with 18 points, knocking down all four of his three-pointers through the first two quarters. But the hot shooting didn't make up for the Hornets' surge in the second half. With just under four minutes left to play in the first quarter, Bolden entered the game and closed the period with a three-pointer that knotted the score, 33-33. Bolden then caught a nifty pass from rookie Landry Shamet early in the second quarter and moments later Saric hit a transition three with the smaller lineup after a Wilson Chandler block on the other end sparked a fast break. In the second half, Walker scored 22 points to lead the Hornets in their fight back. "They put up points and they're hard to guard," Brown said. "And [Walker] is really hard to guard." The Sixers will be in Memphis Saturday before playing two more road games in Miami on Monday and Orlando on Wednesday.